I bought the Core router to be used as firewall, for deep-packet inspections, etc., and have a separate subnet for my devices on the internal router. All my traffic takes an extra hop through the Core router to and from the internet at large. I use the internal router for all my WiFi connections so, literally, the only connection to my Core router is my internal router. I assumed, like I'm sure many did, that I would be able to disable WiFi altogether on the Core router, and that is not to be confused with disabling the SSID. Two separate things. Apparently, through my research, there is no way to do so. 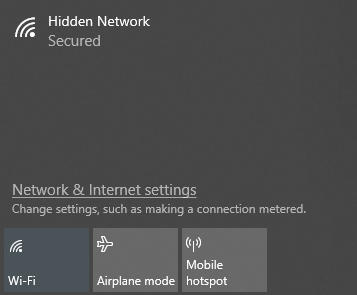 All you are accomplishing by disabling the SSID is preventing the true SSID (whatever you decide to name your WiFi signal) for being visible to devices. This does NOT prevent it from being broadcasted as "Hidden Network." If you believe that by disabling broadcast SSID is a good security practice, think again. "Security through Obscurity" is a poor security practice and the only way to truly obscure the Core WiFi signal is to disable it altogether. I've done WiFi Signal Analysis on the "Hidden Network" and pulled -40db (near 100% propagation of signal from the other side of my house and did further analysis and determined that the first 6 digits of the MAC of that "Hidden Network", the Organizational Unit Identifier (OUI) of a MAC, was sure enough, Sysmantec's. Bottom line, disabling the SSID does nothing from a security standpoint. All I could do was place a 64 character, randomly generated complex password on the signal and hoped for the best. Has the Symantec Norton Core engineering team thought about this? Is there a software update in the future that will provide not only the ability to disable WiFi, but also provide a web GUI where a user can do more with the configurations? At this point, I am apt to unplug the Core router and sell it to someone and buy an enterprise Barracuda network firewall because at least then I know they aren't emanated a WiFi signal. Please provide the ability to disable the WiFi signal. Hello Juan. Unfortunately the only available option on Core for you is to disable "Broadcast Network" in the advanced settings of each WiFi band. This will allow for your DHCP to remain intact while not broadcasting or the network being accessible. Over the months we have sent to the team and asked for several of the most simple functions to be incorporated into Core. There will never be a web based UI on Core for security reasons, and we have bounced that around with the development team several times. On their part this is an easy task due to the way the firmware is managed and delivered. Specific modules could be upgraded while leaving others as is. It hasn't taken place nor do we believe it ever will. Hope this helps in some way with your issue. It doesn't but thanks for the answer. It seems a company so enthralled with security would take rudimentary steps to ensure basic security functions. Disabling WiFi altogether should be a major and basic security feature. I just can't wrap my head around why Symantec wouldn't have this ability right out of the box. I've lost a little faith in the company today and will most likely find another router as a firewall solution. Yes indeed as many others have, surly there are more to come. FWIW! On the behalf of Core owners who will still have Core when the support ends, I have asked in private with the Core admin about the Core firmware being "unlocked" just before the end of support date. By unlocked I mean WIPED and totally devoid of any cloud control which would prevent Core from not working as any other router and doing so via a web browser. At that point, Core is a totally 100% customer owned entity, no licensing or subscriptions required. We shall see what that response is at some point. One personal thought about the Core being abandoned. Would you really still want to use a router that has no support after 2021? ie No updates for any newly found vulnerabilities. Just allowing the users access to some kind of UI will not keep the unit safe. Personally I'd think repurposing Core vice going into the rubbish, will be a HUGE sounding point for owners. The first step will be what Norton does for the customer before that date. Which will encompass wiping Core and making it totally free of their constraints. Core could then be used in other ways it currently cannot. Zero app, zero restrictions. Secondly, its most likely someone will take up the task to come up with firmware that will keep Core useful. Access point, wifi extension, etc. I see the firmware potential already present in the OpenWRT community. Core firmware already has open source code therefore it make sense something would come from here. Thanks for listening! !